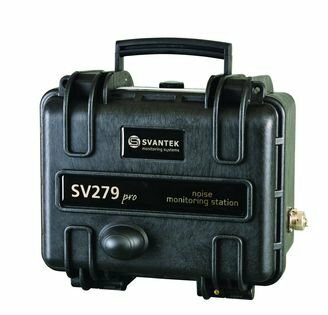 SV 279 PRO is an outdoor monitoring system based on SVAN 979 Class 1 sound level meter. The IP 65-rated case contains a lead-acid battery which operating time can be easily extended by connecting an external battery or solar panel. The intelligent charging unit enables use of a solar panel without expensive controllers and heavy batteries. The case is fitted with very robust, waterproof connectors (military standard) and is supplied with an IP 65 external power supply. The light-weight outdoor microphone kit can be easily installed on a mast with standard mounting threads. All accessories fit conveniently into a second carrying case. The system provides broad-band results such as Leq, Max, Min and Peak with all standard weighting filters together with an incredible time-history logging feature with two adjustable logging steps. The broad-band results can be recorded in three acoustic profiles which enable measurements to be taken with 3 different filters (e.g. A, C, Z) as well as 3 different detector time constants (e.g. Fast, Slow, Impulse). 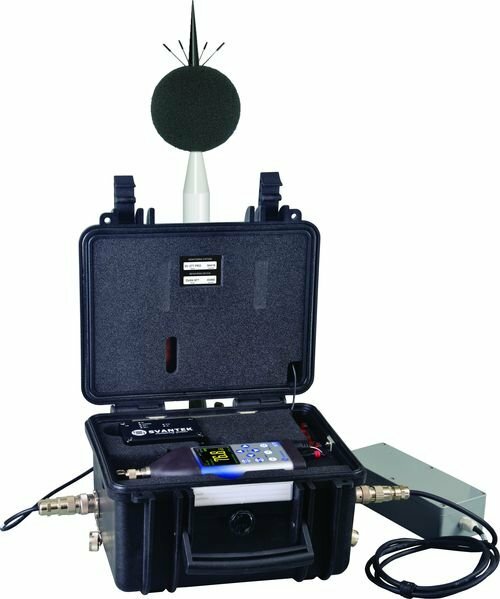 The SVAN 979 can be easily removed from the case and used as a hand-held sound level meter. The monitoring station uses the 3G modem for the remote communication with Internet. SvanNET, the relay server, supports the connection between PC and station. The SvanNET allows the usage of the system with all types of SIM cards, regardless if they have public or private IP. Additionally, it gives an access to a status of monitoring stations over a mobile phone or tablet.